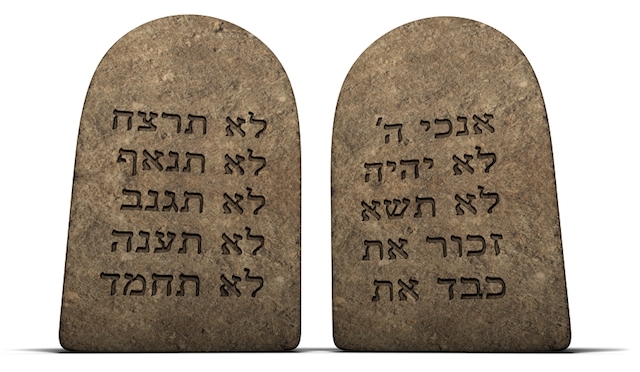 The practice of gematria, or the spiritual interpretation of numbers, is one technique for understanding sacred texts. One indicates unity, divinity, and wholeness, as exemplified by God. Three signifies completeness and stability, as represented by the three Patriarchs and the three pilgrimage festivals –Passover, Shavuot, and Sukkot (I Kings 17:21; Daniel 6:10). This is a number cluster that signals the fulfillment of God’s plans (Amos 1; Daniel 7:25). Four is a recurrent number in both exoteric and esoteric Jewish traditions. The Passover Seder is particularly structured around fours: the Four Questions, the Four Sons, and four cups of wine. There are four cardinal directions and there are four Matriarchs. Four is also a common factor in esoteric interpretations: four angels surround the Throne of Glory, there are four kingdoms of the eschaton, and the famous four Sages who enter Paradise. There are five books of Moses and five divisions to the Psalms. Magical/mystical texts are also sometimes separated into divisions of five. 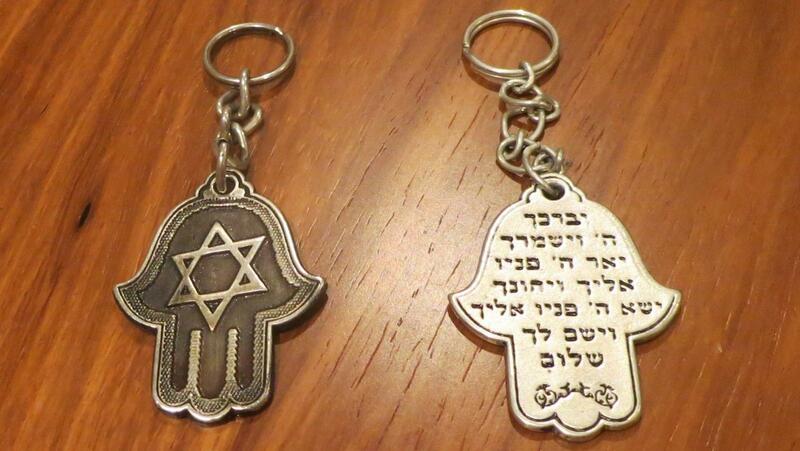 Five is the number of protection, as symbolized in the hamsa, the talismanic hand. Seven is one of the greatest power numbers in Judaism, representing Creation, good fortune, and blessing. A Hebrew word for luck, gad, equals seven in gematria. Another Hebrew word for luck, mazal, equals 77. Events, prayers,and esoteric observances that involve multiples of seven are also common. Entities both natural (gold) and supernatural (angels) are often grouped by sevens (I Enoch 20; II Enoch 19). Seven is a factor in many occult elements and events. The first verse of the Torah consists of seven words and seven is the recurrent number in Pharaoh’s divinatory dreams in Genesis. The walls of Jericho fall after the Israelites encircle it seven times. In the Zohar, the seven lower sefirot are those aspects of God that are present in asiyah, our world of action. Seven is also the preferred number in spells, magic squares, amulets, and the like (Genesis 7:2; I Kings 18:43; Deuteronomy 16:9; Pesahim 54a; Sotah 10b). Eight is the number of completion. The Tabernacle was dedicated in an eight-day ceremony. Male children are circumcised on the eighth day (Genesis 17). 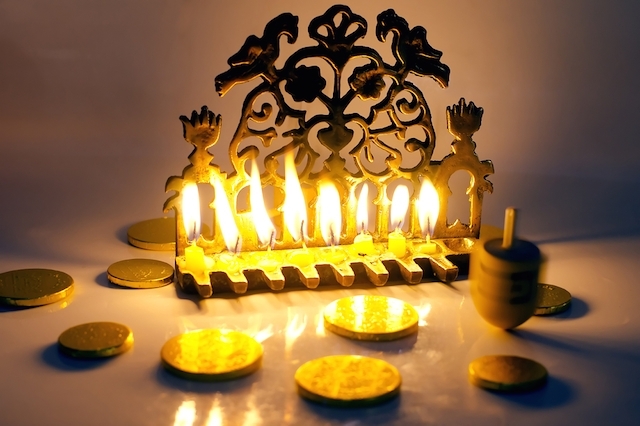 Hanukkah is an eight-day holiday. Ten is a symbol of good luck and power: there are 10 commandments. God requires 10 righteous individuals in Sodom to avert divine punishment, and 10 men constitute a traditional minyan, a spiritual community (Genesis 18, 24:10;Exodus 26:1; Daniel 7:7-24). Twelve represents totality, wholeness, and the completion of God’s purpose. There are 12 tribes of Israel (10 of which must be restored), 12 months in the year, and 12 houses of the zodiac (Genesis 27:20, 25:16; Exodus 24:4, 25:27; Ezekiel 43:16;Yoma 75b, 77b; Taanit 25a; Hullin 95). Eighteen is the value of the Hebrew letters chet and yod, which together spell the word chai, life. For this reason, 18 is considered the luckiest number. God is mentioned 18 times in both Psalm 29 and the Song of the Sea (Exodus 15:1-21), giving these verses special protective power. The number 24 symbolizes abundance. At its prime, Jerusalem once had 24 dream interpreters you could consult, 24 main thoroughfares with 24 side streets leading to 24 alleys each containing 24 houses (Lamentations Rabbah I). According to Sefer Yetzirah, 32 is the number of the “wonderful ways of wisdom,” the number of organizing principles that underlie the universe. These are the 22 letters of the Hebrew alphabet plus the decimal numbers that form the basis for the sefirotic tree. This number symbolizes the world. There are 70 nations in the world, 70 languages, and 70 princely angels. The Greek translation of the Bible, the first to make it available to the gentile, was done by 70 Jewish scholars, who, though working separately, produced 70 identical translations. Finally, it is important to note that odd numbers are considered lucky; even numbers (especially pairs) are considered bad luck. Reprinted with permission from the The Encyclopedia of Jewish Magic, Myth, and Mysticism (LlewellynWorldwide).